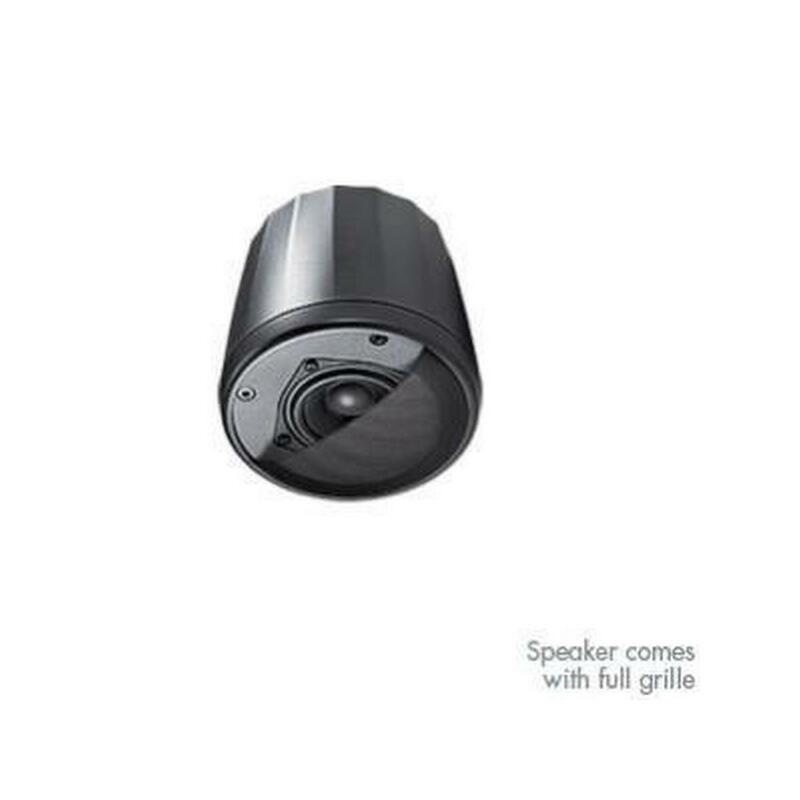 JBL C62P Ultra-Compact Mid/High Pendant w 2"
Ideal for visually sensitive applications, Control 62 P’s 2" driver is great for speech and mid-high music applications (external high-pass required). For full-range, wide bandwidth performance, up to 4 pieces can be driven from a Control 50 S / T or 40 CS / T subwoofer. 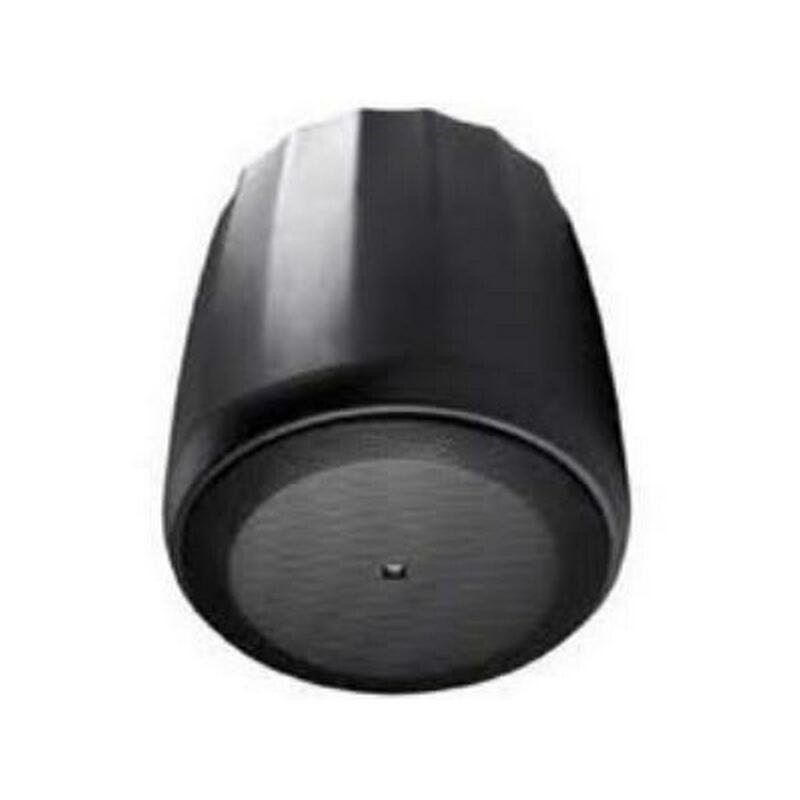 JBL C67HCT Narrow-Coverage Pendant Spkr w 6-1/2"
Control 67HC's well-controlled narrow coverage is ideal for improved voice intelligibility and musical clarity in high-ceiling venues or in rooms with difficult acoustics, such as convention centers, transit centers, exhibit venues and hotel atrium areas. Environmental : Exceeds Mil Spec 810 for humidity, salt spray, temperature UV. IP44 capability per IEC 529 - splashproof rating. Termination : Two removable locking euro-block 2-pin connectors with screwdown terminals for bare wire. Connectors paralleled for input and loop-thru. Max. wire 12 AWG (2.5 mm2). Rubber terminal covers included. Suspension : Two identical suspension systems (one as main suspension cable and the other as safety cable), each consisting of 4.5 m (15 ft) long 2 mm (0.077 in) high-tensile galvanized-steel wire rope suspension cable with spring-clips for clipping onto the loudspeaker bracket and Gripple brand adjustable-height cable fasteners for infinitely adjustable height. Cables have SWL rating of 45 kg (99 lb). Safety Agency Ratings : Speaker listed per UL1480, transformer registered per UL1876. In accordance with IEC60849/EN60849. Suspension system and Gripple-brand cable fastener listed per UL1598 and UL2239, TUV, and CSA Class 3426-01 Class 3426-81. Dimensions : 333 mm (13.1 in) diameter x 344 mm (13.6 in) height to top of cabinet. 369 mm (14.5 in) to top of suspension bracket. Included Accessories : Two suspension cable systems (see "Suspension", above), two 2-pin removable locking euro-block connectors, two rubber covers for euro-block connectors. 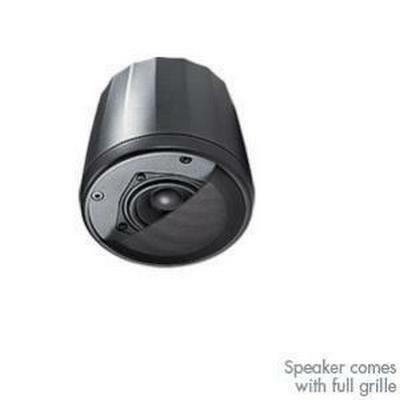 JBL C64P/T 4" FULL-RANGE PENDANT SPKR, BLK Compact Full-Range Pendant Speaker. 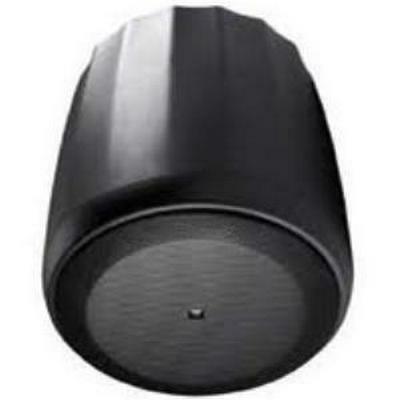 4" (100 mm) driver with polypropylene cone, 120 degree conical coverage, 50 Watts Cont. Pink Noise Power Handling (200W peak) at 8 ohms, plus 30W 70V/100V multi-tap transformer, redundant suspension cable system included. Black. Priced as each, sold and packaged in pairs.